On 13 January 2018, World Vision entered into a Memorandum of Understanding with Ngee Ann Polytechnic (NP), paving the way for a range of collaborative educational opportunities that would equip NP students for social advocacy and allow them to apply their knowledge and skills in the service of people in need. One such opportunity is the co-creation and implementation of service-learning projects in communities supported by World Vision. 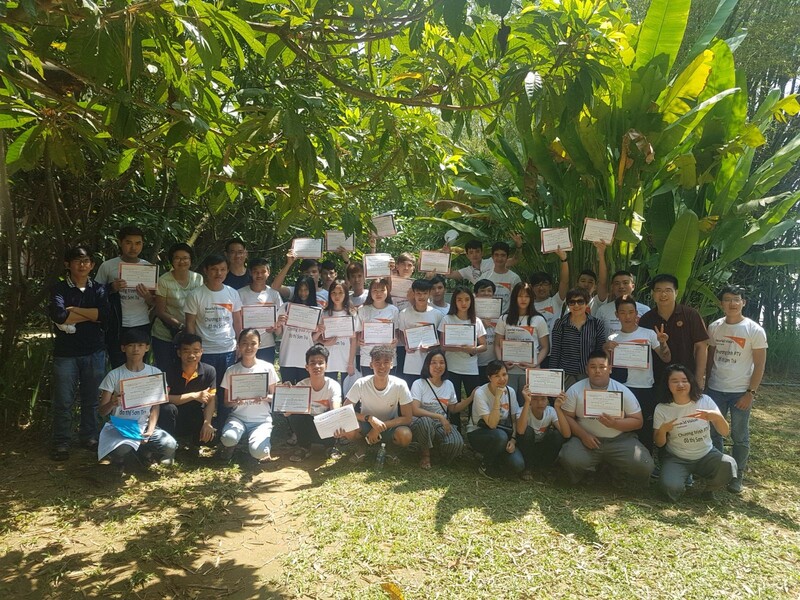 A team of students from different faculties in NP will head to Da Nang, Vietnam (where World Vision runs an Area Development Programme in Son Tra District) in September 2018. They will be part of a concerted campaign effort, led by World Vision and its local community partners, to highlight the importance of employability skills, life skills, and a robust education in enhancing the economic prospects of minors who have dropped out of school and are vulnerable to lapsing into social vices. 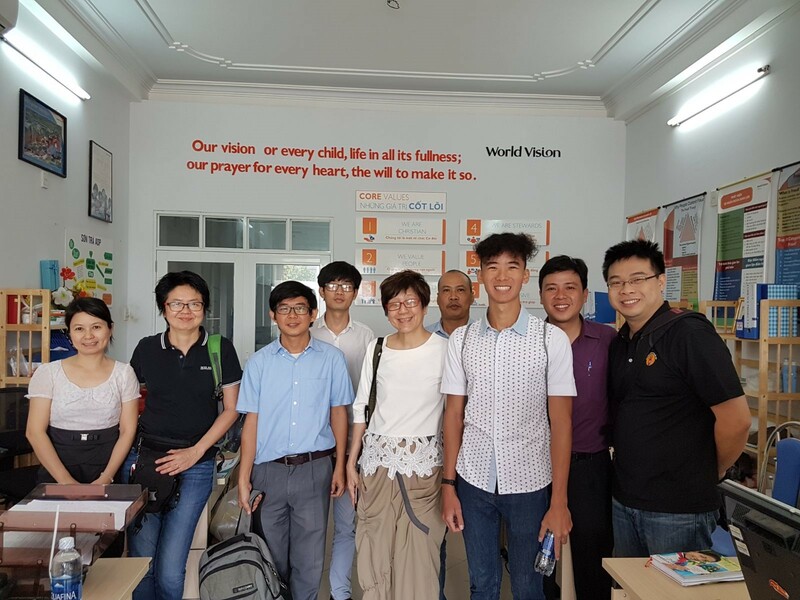 Shawn Lim, a Business & Social Enterprise student from NP who interned with World Vision, shares his impressions from a preparatory visit in March 2018. I was part of a recce trip to Da Nang, Vietnam for a long-term service-learning project between NP and World Vision. 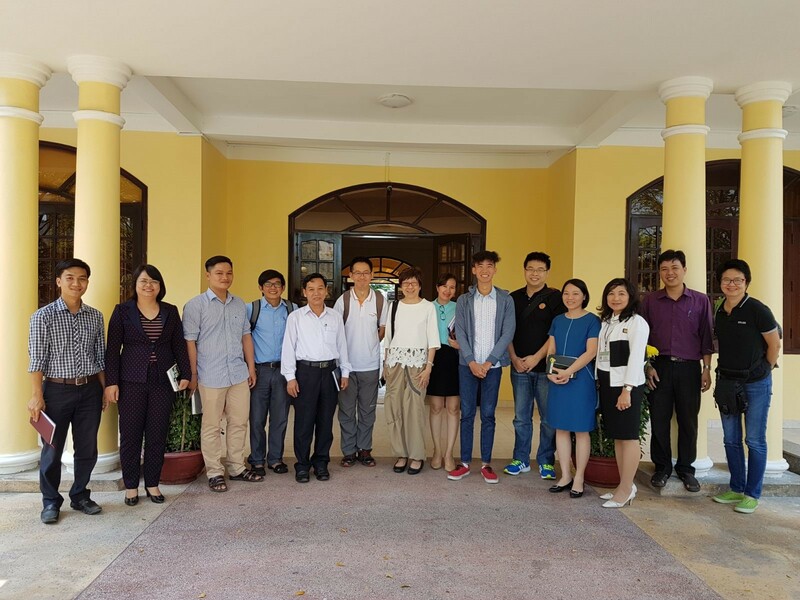 The project will involve students from NP going over to Da Nang annually to support World Vision's efforts to improve the educational and economic prospects of vulnerable minors in Son Tra District. The purpose of this recce trip was to find out more about the needs of the people in Son Tra, and what students from NP could do to help when they headed over in September. As this was my first visit to Da Nang, I was initially surprised by how well-developed the surroundings looked, and wondered what the living conditions of the urban poor communities being supported by World Vision would be like. The recce trip began with an introductory meeting at the office of World Vision’s Area Development Programme (ADP) in Son Tra, where field staff provided an overview of the interventions they were implementing to improve the economic livelihoods of families in need, enhance local communities’ child protection capabilities, and develop their resilience to worsening typhoon seasons brought on by climate change. We then proceeded to the office of the Son Tra District Level People’s Committee, where representatives shared observations regarding attitudes to education among young people, and the forms of guidance that would be helpful in enabling young people to make the transition successfully from schooling life to working life. Over the course of the trip, we visited a number of families in Son Tra to find out more about their economic struggles before they began receiving support from World Vision. Two of the families we met had teenage children who had begun working in the hospitality sector. There was one particular youth who really moved me with his story. He came from a fishing family, and his parents had spent most of their lives making a living through this trade. However, urbanisation and regional maritime disputes had resulted in disruptions to their fishing and declining hauls. As they hadn’t been equipped with other skills, they had no alternative means of making a living. However, their son, who had dropped out of school some years ago, had recently graduated from an internship at a hotel, a vocational training opportunity that had come about as a result of collaborations between the Son Tra ADP team and local industry partners, who had agreed to help with improving the economic prospects of vulnerable minors who found it difficult to return to school after spending several years as dropouts. 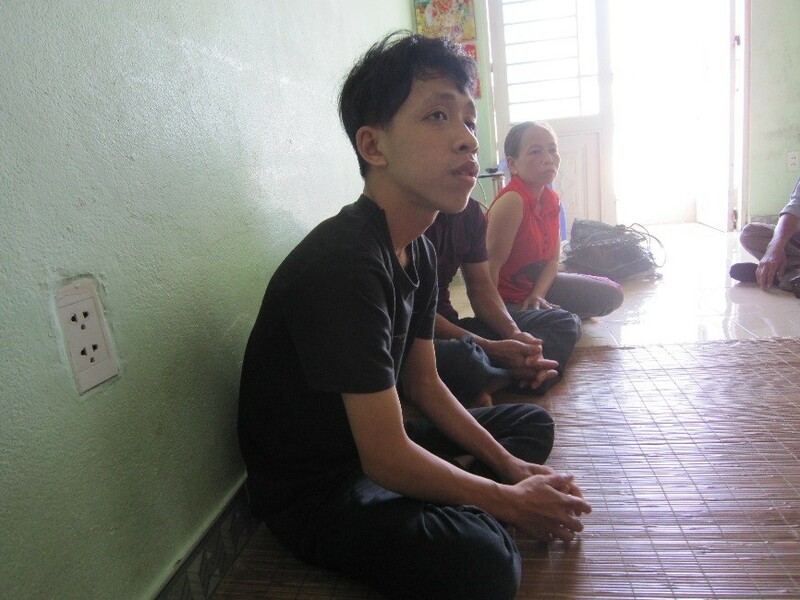 Before World Vision found him, he was a youth-at-risk who had become exposed to social vices like drug and alcohol abuse. When we met with him, he said that he had just started work in a three-star hotel two weeks ago as a housekeeper, and that he was still getting used to the expectations that he must meet as a hotel employee. While he only knew how to speak a bit of simple English, he was trying very hard to learn the language because he understood that he would have to converse with tourists in English in his line of work. He also said that his aspiration at this point was to be able to work in a prestigious five-star hotel one day. When asked why, his response was, “Because I want to earn more money to give to my family.” This was really heart-warming. To most people this boy’s goal might have sounded insignificant, but I feel that’s totally false: It was a goal that was big in its intent and purpose. Mr Minh, the ADP team member who was one of the main coordinators of economic livelihood programmes, also said, “I am really proud of them. They prove to me that the work that I am doing is meaningful.” His pride could really be seen. It was a really meaningful time of interaction with this family, and they made me reflect more deeply on my own outlook on life as a young person living in a first world country. On two days in the second half of the trip, we attended a camp organised by the Son Tra ADP team for at-risk youth who had dropped out of school. These youth had since been counselled to make a preliminary commitment to get their lives back on track and renounce the social vices they had picked up. The camp was part of a year-long economic livelihood programme to engage youth-at-risk, inculcate life skills (such as self-discipline, perseverance, accountability, and respect for others) in them, connect them to mentors in local industries, and ultimately guide them into vocational training and employment opportunities. The youth selected a career they were interested in pursuing, and consulted with the relevant industry mentor to get an understanding of the job’s characteristics and requirements. They worked with their mentor to set goals for an action plan to make relevant arrangements and secure the necessary resources for undertaking and completing a vocational training course. They then presented their action plans to both the industry mentors and the ADP team members, who scrutinised the feasibility of their plans and pushed them to refine them, over and over, until they were satisfied that the youth had made a serious effort to consider the steps they would take to take ownership of their own economic well-being. They concluded with a collective challenge to remain in a push-up position over their written action plans for 25 minutes, an activity intended to emphasise the importance of resolve and perseverance in seeing their plans through. Something that left a very deep impression on me during the camp was the final push-up challenge. I felt that it was a really great activity that tested how much the youth wanted to set their lives in order and do something positive. Seeing everyone persevere through the entire 25 minutes of the push-up challenge was really heart-warming. I feel that no matter what happens in life, everyone should be given an equal chance. Nobody should be deprived of any opportunities just because of the different backgrounds that they were born into. To all the people of Son Tra ADP: I really admire your courage and determination to work hard for what you want to achieve. Thank you for giving me such a memorable experience. I really look forward to the team from NP coming back to Son Tra this September.